It is REVEAL DAY for the $100 Room Challenge! I have been so so SO excited for this day! If you are unfamiliar with what this challenge is- it really is just as it sounds! 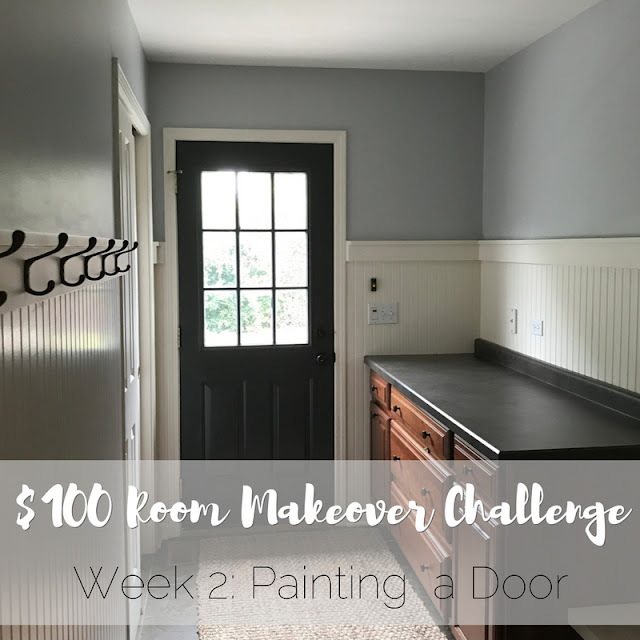 You have $100 to makeover a room in just one month! 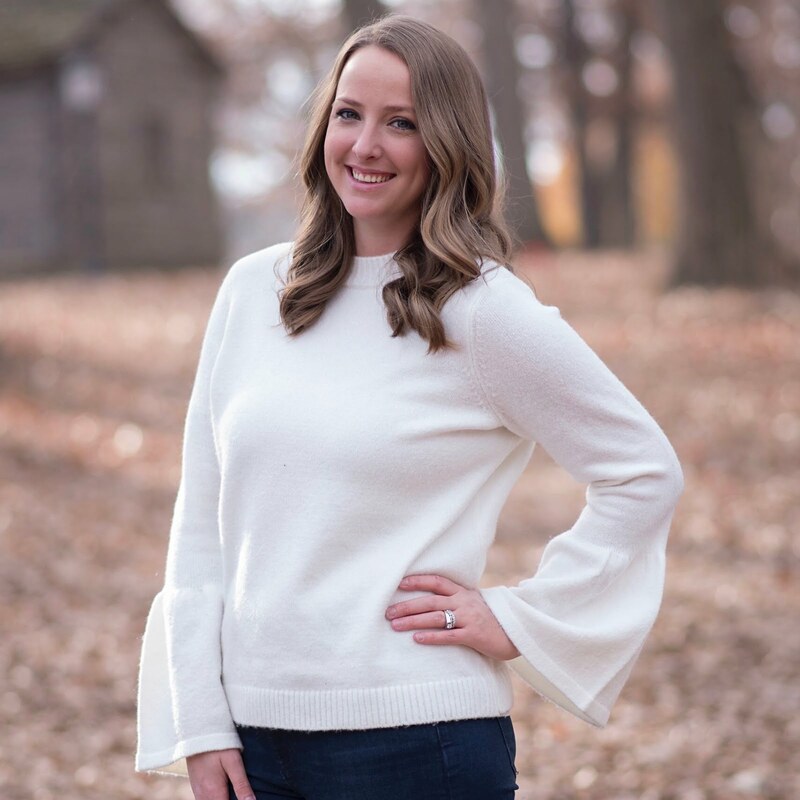 This challenge is hosted by Erin at Lemons, Lavender, and Laundry and I am joined by 20+ other bloggers who completed this challenge (you can see all of the reveals at the bottom of this post!). Also, just in case you missed it here are Week 1, Week 2 and Week 3 of this challenge! 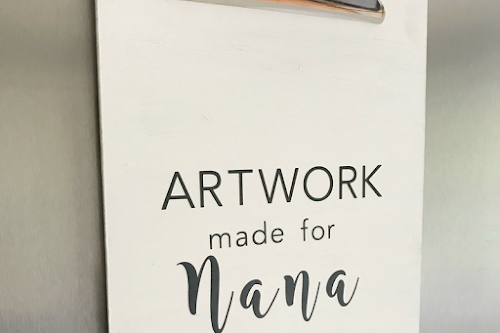 I am so excited to be sharing this DIY project! 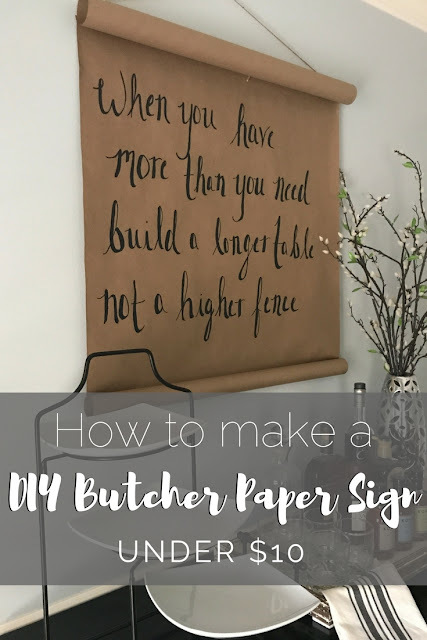 I have been seeing these butcher paper scrolls/signs/lists (not sure what their official name is) pop up all over Pinterest and Instagram and from the moment I saw them I knew I had to try to DIY one! Welcome to Week 3 of the $100 Room Makeover Challenge hosted by Erin at Lemons, Lavender, and Laundry! In case you missed it here are Week 1 and Week 2 of this challenge! 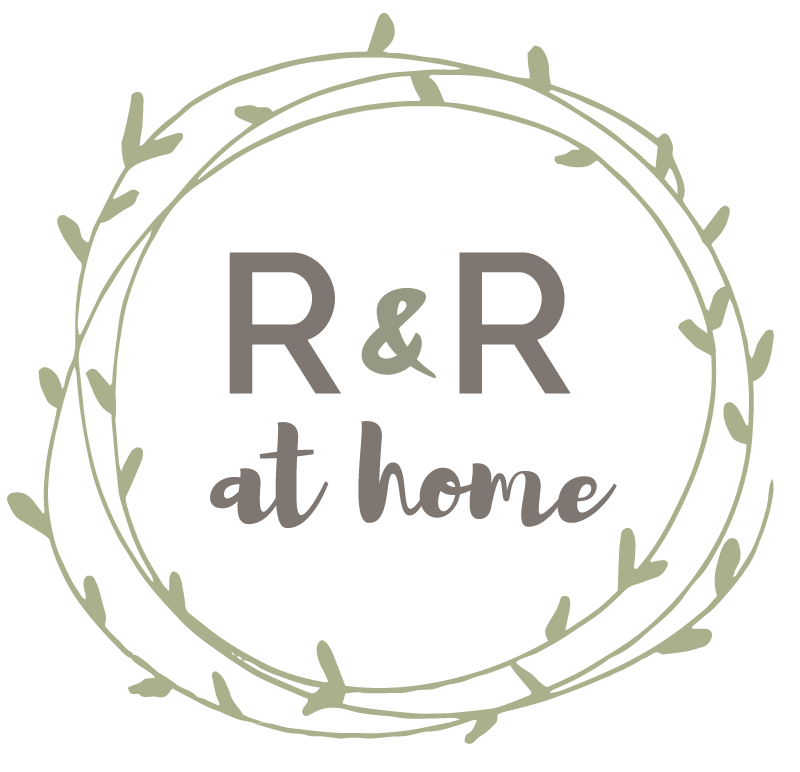 I am beyond excited to share this week's progress because it was a true 'R&R' project (check out my About page for more info on the inspiration for my blog name)! This week I am sharing how we made magnetic bamboo blinds to add to the back door in our mudroom! I know, I know. This isn't the first time a shade has been added to a door but I was faced with some tough challenges and overcame each one by not being afraid to be innovative! 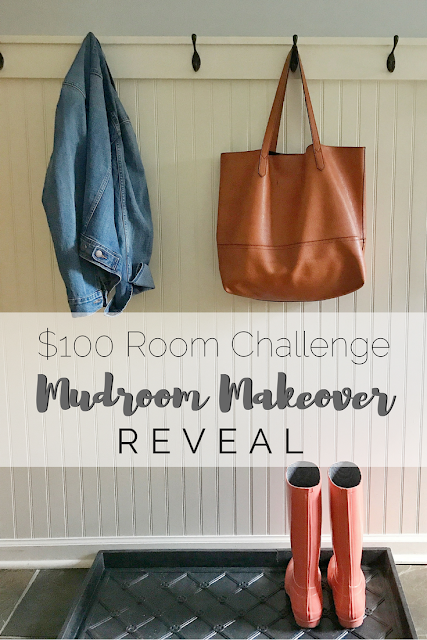 So, I made it official and joined an amazing group of bloggers to complete the $100 Room Makeover Challenge (check out all of the other bloggers linked at the bottom of this post). 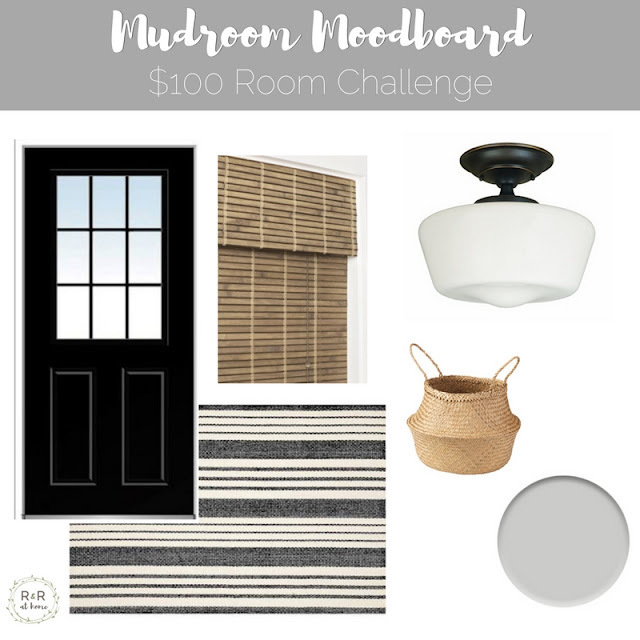 This challenge is hosted by Erin at Lemons, Lavender and Laundry. Every Wednesday I will be back with updates on how the room makeover is going. If you missed Week 1 of this challenge you can check it out here! 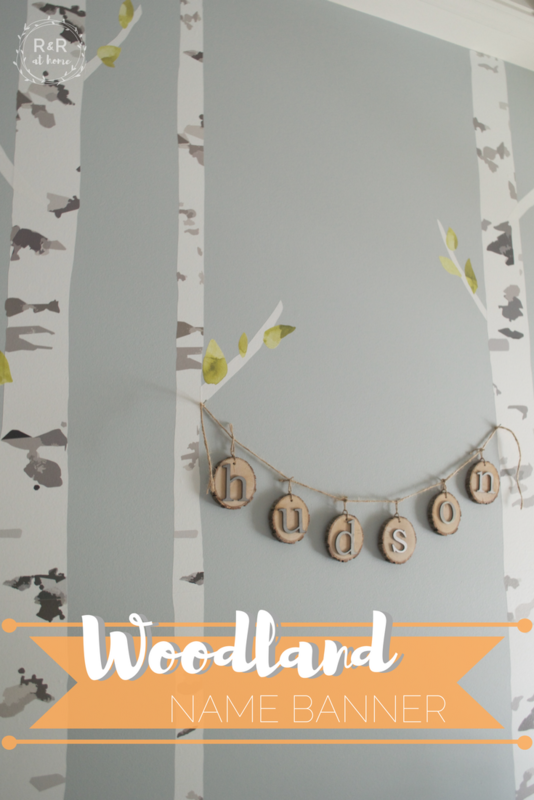 I recently shared our Woodland Nursery reveal that included a DIY Woodland name banner with the promise of a tutorial. 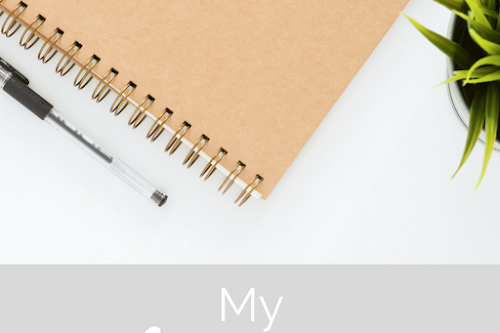 Today, I wanted to share how I made it! I am excited to say that I am joining the $100 Room Challenge for the month of September! 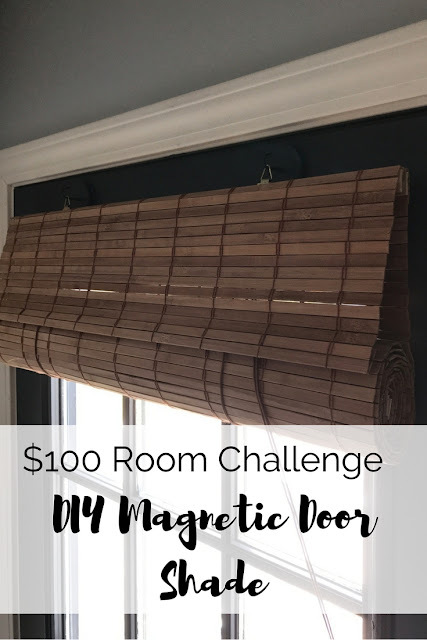 What is the $100 room challenge? Well it is as simple as it sounds- you choose a room and transform it for under $100 in a month! 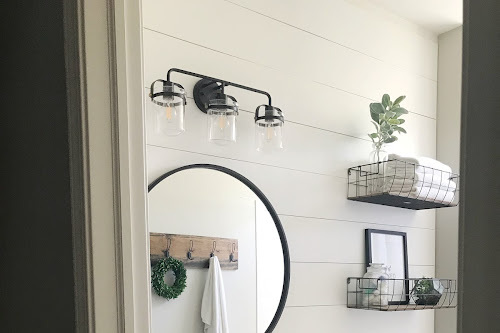 I have sort of done this challenge before without calling it that when I gave our powder room a makeover. Anyway, I am going to be sharing the progress here on the blog! 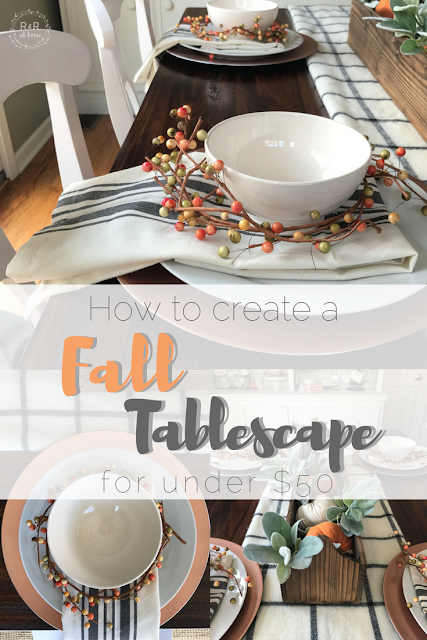 How To Create a Fall Tablescape for under $50! I am so sorry for being MIA for almost a month! I have had so many projects 'in the works' and waiting to be posted! One project in particular is not complete because I am waiting on a special package to arrive that has been majorly delayed so that has pushed things back a bit. That PLUS I started a part time work from home gig (ALL THE YAYS🙌!) so that has been taking up some of my designated blogging time as well.